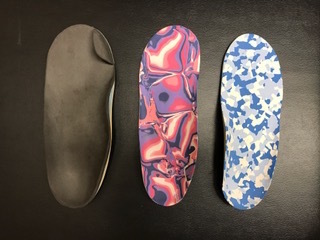 A foot orthosis (FO) replaces a generic shoe insole to support, accommodate or correct the foot by redistributing pressures to the bottom of the foot. This can assist with gait biomechanics and influence joints within and above the foot. Its design can be soft, semi-rigid or rigid and materials used depend on foot structure, skin integrity, and the type of control or correction required. FOs are designed to be worn inside regular shoes provided they have adequate depth and width.